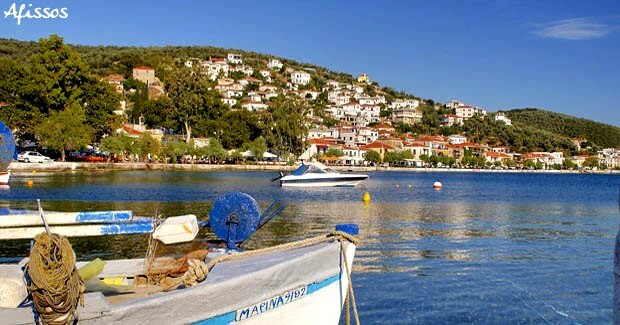 The small village and harbour of Afissos is renowned for the absolute clarity of its sea and beautiful beaches. Mythology tells us that it is here that Jason and his Argonauts stopped for fresh water before setting sail on their epic travels to find the Golden Fleece. The village is proud of its legendary reputation celebrating throughout the summer with the ‘Argonauticos’ shows and festivities. Named after Hariklo’s and Cheiron’s daughter; Okiroy was turned into a horse by Apollo as she was an excellent prophetess. 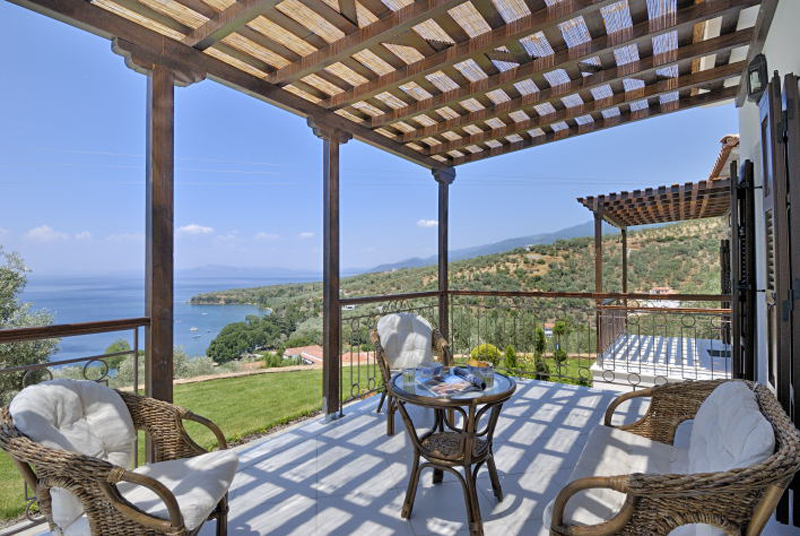 Villa Okiroy has superb outdoor living features and terrific panoramic views toward the Pagasitic Gulf. This is truly an ideal place for one to relax purely enjoying the outstanding natural beauty this enchanting region offers. 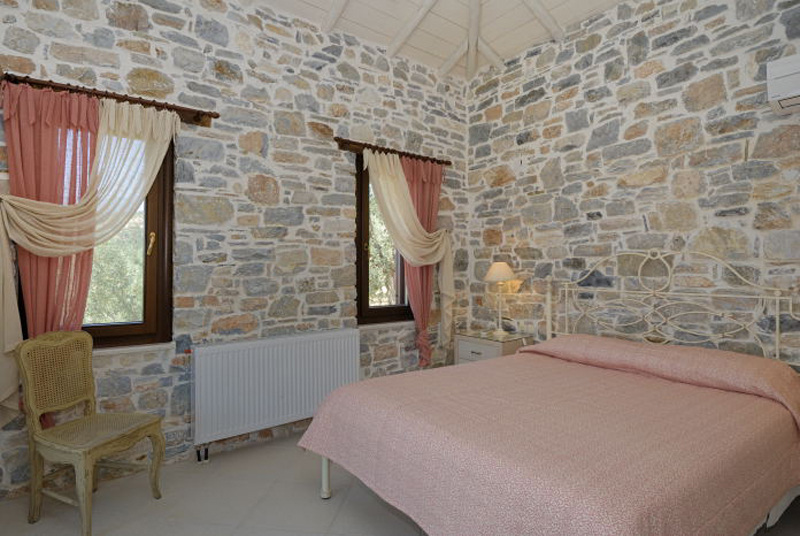 A fantastic hideaway for couples and honeymooners in particular, as one bedroomed houses with private pools are relatively rare anywhere in Greece. 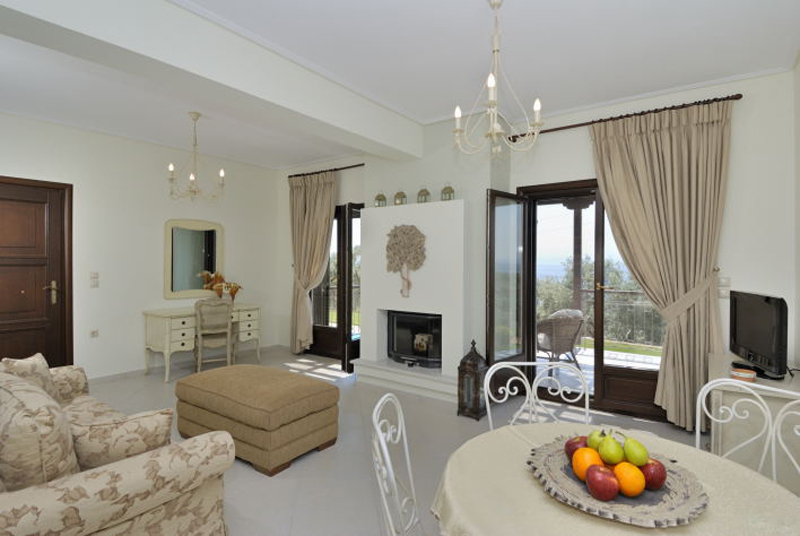 The double bedroom and bathroom are particularly spacious. 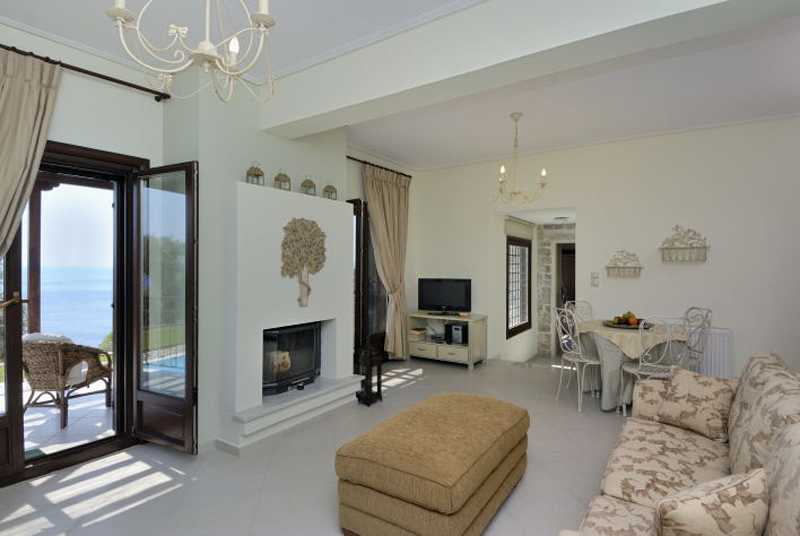 The fully equipped kitchen and living room opens out onto a splendid outdoor terrace and pool area. This is beyond doubt the holiday home of the Greek Gods, a fusion of stunning landscapes along the peninsula, with magical forests giving shade to the slopes of Mount Pelion. Tapered paths ribbon their way through the terraced orchards and olive groves across this idyllic and verdant countryside as it sweeps down to the sparkling clear turquoise seas of the Aegean, sunlight casting diamonds on the surface kissing the land as the waters lap against the shore like the revisiting Gods of legend. The Gods didn’t want to leave this haven we doubt you will either!